Monroe may not quite be a small town, but it does have a small-town feel, with its historic downtown, old buildings, museums preserving the rich history of the town and the surrounding area, and its fine restaurants serving Louisiana’s finest seafood and Southern dishes, topped off with its gorgeous and unique landscape. 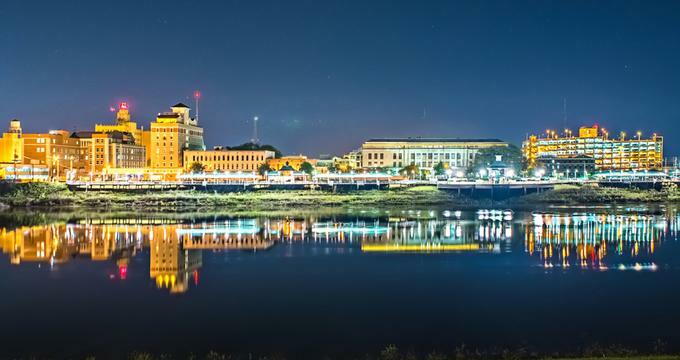 One of the best-kept secret travel destinations in the United States thanks to its wealth of culture and history, Monroe has a little of something for everyone and trying out all the attractions of this historic Southern town won’t break the bank. 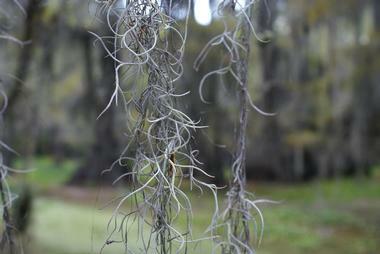 Locally famous Black Bayou Lake is located on the Louisiana Wildlife National Reserve. This lake is a particularly good place to visit, along with the rest of the reserve, because of the events, classes, and public education activities on offer here from the U.S. Fish and Wildlife Service of Louisiana for anyone who would like to learn about the local wildlife and the land. The lake is typical of the American South, with tall cypress trees growing out of the water and plenty of alligators, turtles, large fish, and other incredible creatures to see. The refuge is open for hunting and fishing during certain parts of the year. 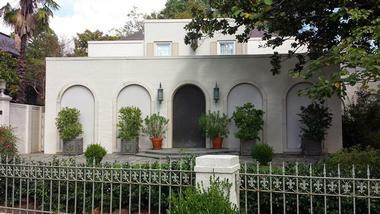 This museum is located in Monroe, Louisiana, and is one of the most immersive museums in the United States. Local schools often plan field trips here to learn about American aircraft and pilots of past conflicts and wars, while the public can enjoy the amazing events put on by volunteers and veterans, who aim to educate about the men and women who sacrificed everything for America, while other volunteers, staff, and organizations create incredible exhibits to display artifacts and other pieces of history to honor the pilots and aviation professionals of the military and otherwise. The exhibits and events change often, so no trip will be the same and there will always be something new to learn. This incredible museum in Monroe, Louisiana, provides the public with knowledge of African-American history, dating back to America’s independence from Great Britain. The museum focuses on telling stories as well as on presenting evidence and artifacts about how African-American culture contributed to the successes of the United States and other places around the world with knowledge, education, classes, artistry, and events held for the public. The museum welcomes anyone who wishes to know more about the real history of how African-American culture has shaped what we see today. The public may also enjoy some of the special events held at the museum that celebrate the lives that have made an impact on our world. Since 1894, this museum and garden center has been a place to learn fun and interesting facts about the enormous Coca-Cola corporation and how Joseph Biedenharn was the first to bottle the fizzy soda for customers outside of Vicksburg. Today, the Biedenharn Candy Company is one of the biggest bottling companies in the world. The museum and gardens are not just for nostalgia, they also serve to celebrate the hard-working people of the Biedenharn family and their huge success as well as their commitment to the community of Monroe for well over 100 years. The Biedenharn Museum and Gardens welcomes anyone who wants to learn some interesting history as well as discover more about how the museum and their subsidiary foundations help the community. This “cool” house was built around 1925 for Gilbert “Captain” Cooley, who was the first person in Monroe to own and drive an automobile. 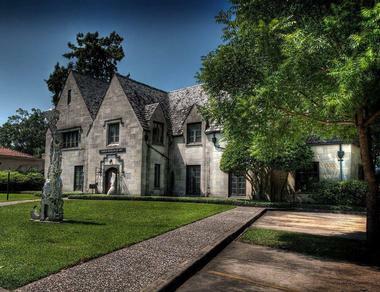 The house is famous because it is the last work by renowned architect Walter Griffin, who is known for the Prairie School architectural style, which was prevalent among more well-to-do citizens of the American South at the time. The house is unique in its design and is completely original except for a carport that was added to the house a few years after the building was finished. The home has plenty of history, and recently the City of Monroe purchased the home with the support of the Cooley House Foundation and it is now working to renovate the house to its original glory. If you love craft beer and love to enjoy a friendly atmosphere with excellent staff and industrial-style decor, then the Flying Tiger Brewery is the place for you. 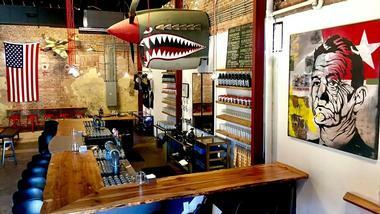 The brewery has many beers on tap and work to make new beers whenever they can. The brewery is committed to preserving Monroe’s heritage, and its taproom is a place to revel in the history of Monroe, with plenty artifacts and display pieces on the city and the region. 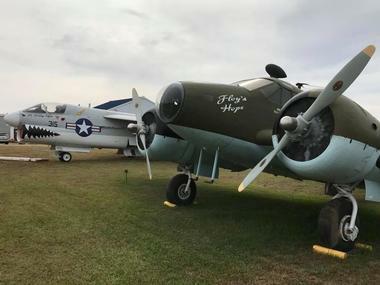 The name “Flying Tiger” was coined to honor General Chennault, the commander of the Flying Tigers, which were a squadron of warplanes in WWII, and after whom the Chennault Aviation and Military Museum in Monroe is also named. This zoo features over 400 animals of all kinds from all over the world for the public to learn about, allowing them to discover new species they never knew existed as well as showing them how to help protect them in the wild. 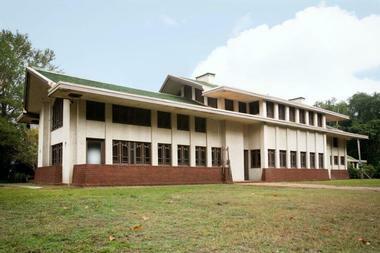 The zoo is dedicated to providing events, tours, classes, and shows to further their main goal of educating people on how to live with nature in a sustainable way. The zoo welcomes families, school field trips, organizations, and anyone else who would enjoy seeing the incredible animals housed there. 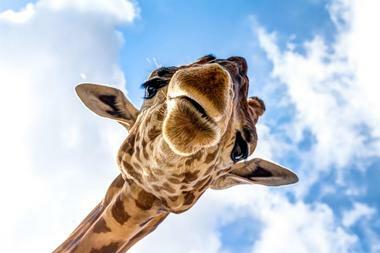 As if all the animals were not enough, the zoo also houses over 1,000 species of plants inside its 80 acres of land. 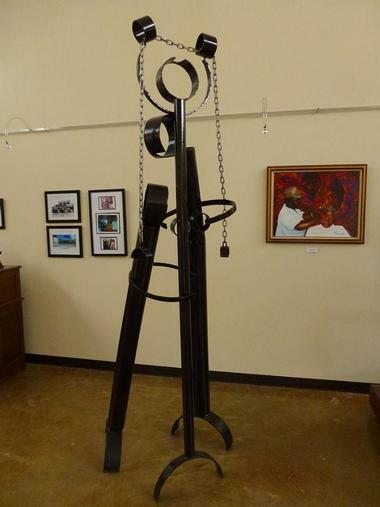 This museum is free to anyone wanting to learn more about the history of local art in Monroe as well as the modern art by the incredibly talented artists that is exhibited there. Although there was a recent fire in the building that damaged over 90% of their art collection, the museum is still going strong and is displaying more art and exhibits. The art changes frequently, so visiting a second time will always offer a different experience. Kids, tour groups, field trips, and organizations are more than welcome to come and visit the museum. The museum also frequently provides classes, tours, and general art education throughout the exhibits as well as events held for artists and on important days of the year to celebrate the history of art. 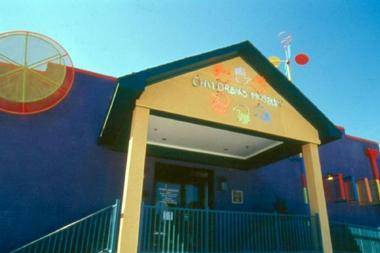 Children of any age will have a blast learning in and exploring this museum located in Monroe. Your family or field trip group are welcome to enjoy the Kids’ Café, where a makeshift restaurant is displayed for kids to go and try to work as a dishwasher, server, or chef. The Discovery Hospital gives kids the means to use doctors’ tools to learn more about the human body and medicine, while the Bubble Works exhibit gives kids a place to discover how to make bubbles from huge to small. They can even put themselves into a bubble! The museum offers classes and other spaces for smaller children to use their minds and skills to build and solve puzzles and problems and provides a safe environment for them to play and learn. 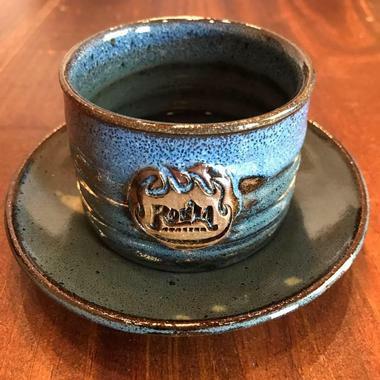 They say coffee is an art, and Roela Roaster has sure proven that as they roast all kinds of coffee beans from all over the world in their quaint coffee shop in Monroe, Louisiana. They specialize in craft coffee, and they do not settle for the regular brews you find at the grocery store. Each coffee bean is sourced from high-quality and responsible coffee bean producers, and the roastery uses a mechanical Ambex roaster, which gently coaxes the best flavors and fragrances out of every bean. Roela Roaster offers cool brews made with coffee beans that are perfect for cold brewing, blended coffee with an endless number of flavors to choose from, and a variety of single-origin coffees. Roela Roaster also sells shirts, hats, mugs, coffee, beans, cool brew growlers, and even honey. Downtown Monroe, Louisiana, offers plenty of great shops and restaurants, but this place is the reason why many people come downtown. Warehouse No. 1 Restaurant offers casual fine dining at very affordable prices, with menu options like surf and turf dining, lunch and dinner items, outdoor dining, happy hour, full service catering, and dessert items that will keep you coming back for more. 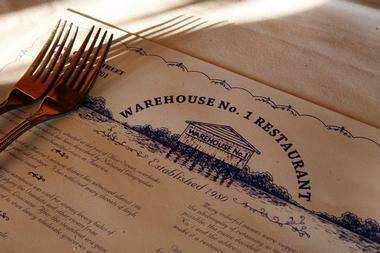 You can expect to find good old-fashioned Louisiana food on their menus, with some dishes that are special to this restaurant and others that are local favorites. People may book the restaurant, or parts of it, for special events and reservations, and can take advantage of the free Wi-Fi while they dine. Enjoy the view of the water and the bridge while you dine outside as well.